Not Home for the Holidays? Find a Great Place for the Pets to Stay While You're Away! If you're going away for the holidays make sure your beloved pets are well taken care of with these Long Island pet services! December is a big month for travelling here in the U.S. With Hanukkah on December 16,, Christmas on December 25, and New Year’s Eve right at the tail-end of the month, it’s no wonder that this time of year get can a little crazy. If you’re planning on leaving the Island for the holidays, and you have pets at home, that means it’s time to start deciding on what sort of pet service you’d like to look after your animal companions. Here on Long Island there are many different kinds of pet services, boarding options and other choices to mull over when choosing who to look after your furry friends. While some people prefer just dropping off their pets at a trusted nearby kennel, some people would rather their pets stayed at home. For those who have pets they’d rather not have to relocate to a kennel, pet-sitting services may be the route to go. The pet-sitter will simply drop by, make sure all of your pet’s needs are being taken care of, and your pets never even have to leave the familiar, comfort of home. It doesn’t matter whether you have a dog, cat, lizard, fish, or bird Dan’s has got you covered! Enjoy services like daily dog walks, cat visits, in-home overnight care, trash take-out, and more! Dan’s provides pet sitting services to Port Washington, Great Neck, Roslyn, Manhasset and the surrounding areas. Customize your pet care with Dog Walking Plus! From feedings, to daily dog walkings, to pet sitting services at your home, DWP does it all! Dog Walking Plus serves the areas of Baldwin, The Harbor, Bellmore, Freeport, Long Beach, Lynbrook, Merrick, Oceanside, Rockville Centre and Valley Stream. Make sure your pets are well looked after and taken care of by having In Home Pet Services take care of your pet while you’re away! All pet sitters and dog walkers are insured, bonded, and trained in pet first aid & CPR. Let the professionals come to you! Jeanne's Pet Sitting Service will provide fresh food & water, exercise, medication administration, and more for your pets! They even do a free “getting to know you” visit prior to you going away so you know your beloved pets will be in good hands. Your pet will feel right at home in your home with Vanessa’s Pet Sitting! For vacation visits services include: a 45 minute visit for each visit, food, water and medication administration, yard clean-up after your pet “goes,” and more! Vanessa’s Pet Sitting services cover the Merrick, Bellmore, Wantagh, Seaford, Plainedge, Massapequa, Massapequa Park and Amityville areas. The Barrie Inn offers cageless boarding on Long Island for your loveable canines. Dogs are fed twice a day, walked 4 times a day, given socialization time and more! 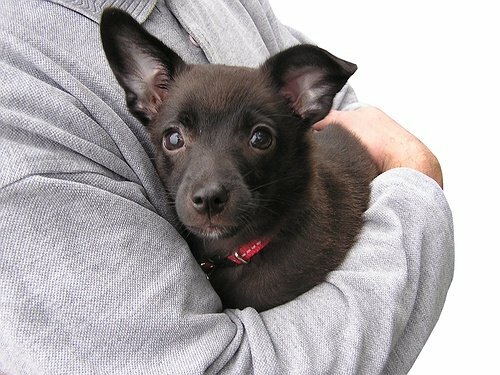 Female or male dogs that are not fixed, neutered or spayed cannot board during high season. Dogs can look forward to large spacious runs and five walks a day at Malibu Pet Hotel! Cats get the royal treatment too residing in their cat condo, visiting the cattery for exercise, and getting individual attention during playtime. Quail Run Kennel is crate free! All dogs have 24 hour access to indoor and outdoor areas, fresh water is available all day and even after business hours a caretaker is always on the grounds, that way your pet always has the care they need. This family owned and operated (they live at the kennel!) kennel offers 24 hour professional pet care! Located in a quaint facility set back in the woods, Smitty’s has heated tile floors, private runs and more for their canine guests. This dog and cat boarding location features a state of the art, modern kitchen to cater to each pet’s dietary needs, individual indoor ceramic tiled rooms, and the facility is heated throughout the colder months. Subject: LongIsland.com - Your Name sent you Article details of "Not Home for the Holidays? Find a Great Place for the Pets to Stay While You're Away!"